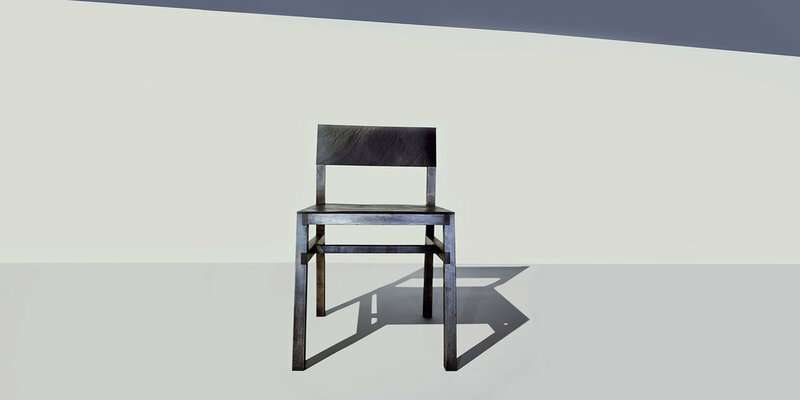 The 36 Chair builds from the degrees of 3 and 6, units of angle that assume a large roll at Dane Co. The kicked-out front and back legs are triangulated by exposed, half-lap joinery. DIMENSIONS: H 29 in. x W 17.25 in. x D 17.25 in.